The rapid development of technologies in cars is becoming an increasingly popular topic of conversation in my circle of family and friends. Why is this? Certainly part of this is because of my job at HORIBA MIRA but I’m convinced this is only a small part of the reason and that I am only providing a conduit for them to express and explore an increasing fascination with the subject. 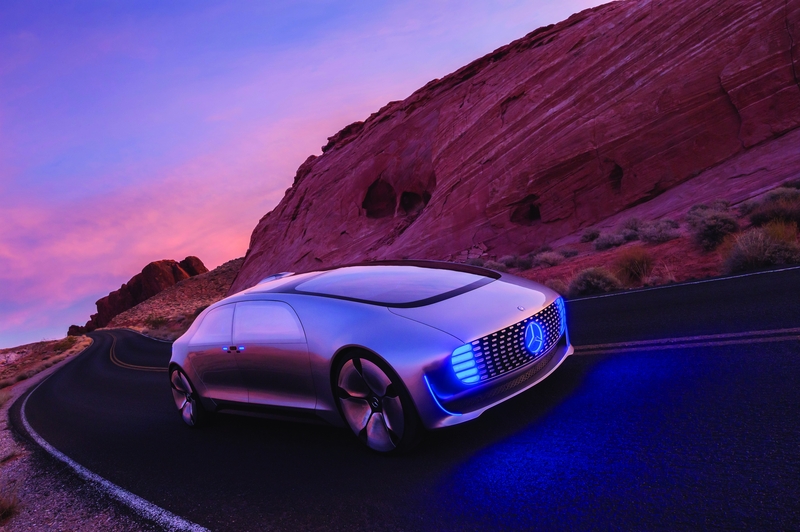 The Mercedes-Benz F015 autonomous concept car. Is this the car of the future? My 94 year old uncle who has now stopped driving is particularly interested in developments in driverless cars and what they will mean for helping keep older people mobile in the future. In the meantime he is getting to grips with apps for public transport and booking taxis (unfortunately uber do not yet cover his village though). For those still driving there is the fascination with increasing connectivity and improving navigation services as well as advances with driver assistance features. For those currently too young to drive there is the fascination with how cars are changing in to robots and what terms like “artificial intelligence” mean and whether “you can do this at university.” It was this last point that gave me the idea of doing a blog on what these changes in the car will mean for the skills needed to imagine, design and develop them. The comment about cars changing in to robots was made by my young niece. I think it captures the essence of the revolution that is taking place in the whole of transport, namely its transformation by digital technology. Numerous studies point to the significant economic opportunities this transformation will bring which is good news for jobs and perhaps my young niece will benefit from this as she considers her career choices. But what are the skills industry needs to design and develop the car of the future? There is no doubt that traditional Science, Technology, Engineering and Maths (STEM) skills are part of the mix but the car industry needs to go much further and develop the disruptive skills that will also be needed. In particular computer science and its various components such as cyber security, wireless data communications, machine learning and artificial intelligence will be key. The more automation technology we introduce in to cars the more important it will be to understand and design for the safe interaction of this technology with human beings. Human factors and psychology skills will therefore be increasingly important. New skills in creativity and imagination will also be important as disruption brings innovation opportunities to radically re-think what the car of the future will be like and how it interacts with people and infrastructure (both physical and wireless). These skills are not new per se but what is new is the need to apply them on a large scale in order to imagine, design and develop the car of the future. Why then, has there been a drop in computer science graduates and courses1? This trend suggests that the message is not yet getting out from the car industry to signal the level of demand there will be for such skills. No doubt this is hampered by the traditional image of the car industry as well as the tendency of established industries to work in silos with limited cross sector approaches. Attracting and developing these disruptive skills therefore needs to be part of the marketing mix for car companies and their supply chains and partners. New entrants in the car market are leading the way in this respect. Developing new skills is something we are taking very seriously at HORIBA MIRA. For example, in my own area working together with Coventry University we have 2 cyber security PhD students, a computer science placement student and a games technology placement student working alongside our core team of engineers. They are actively engaged in developing our capabilities for engineering and testing the car of the future. The combination of their disruptive skills and non-traditional automotive roots are adding real value to our project teams and this is something we plan to extend significantly so watch this space! More widely our rapidly growing Transport Technology Park has advanced plans for a £9.5M investment in an onsite institute. This will be a collaboration with further and higher education to provide both disruptive and core skills development from apprentice to post graduate level courses. Nationally, government is also working to develop strategies for addressing this skills gap and the recently published Intelligent Mobility Skills Strategy2 is an example of this. But all these initiatives will be inadequate if we don’t capture the imagination and creativity of children like my young niece before they leave school. The fact that only 10% of app developers and 6% of engineers are women, for example3 suggests there is much to do in this respect. So how can we do this? My daughter who teaches music introduced me to the educational ideas of Sir Ken Robinson. His central belief is that creativity is as important in education as literacy and that the education system should treat it with the same status. Listening to some of his talks I think he has a point4. Perhaps, therefore, we need some disruption in the education system to help prepare our children for a future we can’t grasp. Intelligent Mobility Skills Strategy, Transport Systems Catapult, October 2016. Select Committee on Digital Skills – Report of Session 2014–15. Anthony thank you for an article that stimulates thought and encapsulates some of the opportunities and challenges that face many industries. Embrace disruption, value imagination and look forward to an exciting future.